Other Event Management reviews by real, verified users. Find unbiased ratings on user satisfaction, features, and price based on the most reviews available anywhere. Paperless Post is a service for sending event invitations. Your exhibitors and attendees alike will be thrilled with our interactive trade show floor map which allows users to tap any booth space to see exhibitor details. Inspherio is a comprehensive all-in-one business management program designed specifically for wedding and event professionals. It is designed to take the steps you already use and streamline the process so you can build your relationships with your clients. Momice software contributes to the organisation of valuable and professional events. Everybody can easily create an event website in the style organisation or event, send out invitations, automatically keep track of registrations, sell tickets and conduct surveys. Using the modules Mail, Registration, Website, Tickets and Survey, each event professional can automate all event communication. Working with Momice saves up to 75% of your time - no technical knowledge required! 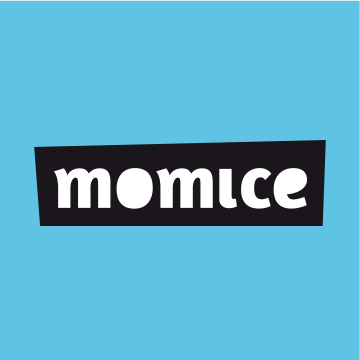 Momice is suitable for small and large events: from conference to training, business meeting or product launch. Brushfire is the leading online ticketing and registration provider for ministry related organizations. With over a decade of event management experience, we've helped organizations around the world sell more than 8 million ticket. Brushfire provides powerful sales and management tool alongside outstanding service and support to give you the very best event management tool. With Brushfire, you have the flexibility to control pricing, fees, advertising, and communication for your event. Software driven by audience intelligence. 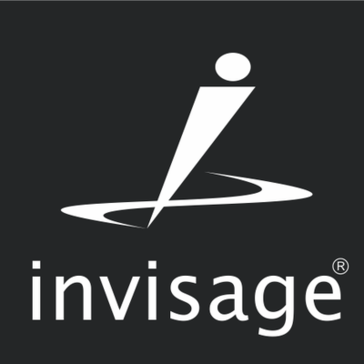 We make mobile apps + marketing tools for live events. Powerful inventory management solution for forward-thinking enterprises that need optimize their inventory tracking, sales, warehouse operations, and rentals. Flex Rental Solutions comes with powerful tools for modeling inventory the way you use it, supporting virtual items, racks, and road cases. Flex features contact management, financial management with QuickBooks TM integration, crew management, barcode scanner support, intuitive search abilities, drag-and-drop functionality & more. HoldMyTicket is a technology company that specializes in selling tickets online. The HoldMyTicket platform offers tons of features including pre/post event marketing, intelligent insights & analytics, interactive calendars & seating charts, mobile box office & on-site scanning solutions - plus much more. In addition to a world-class platform, HoldMyTicket's dedicated ticketing team provides 24/7 support for our partners - we never leave you hanging. HoldMyTicket streamlines operations and drives more revenue for Music Venues, Sports Arena's, Festivals, Theaters, Tours, and Casino's nationwide. Take a tour of our technology at HoldMyTicket.com/sell. Banquet Event Booking System is a booking software that provides a solution for banquet facilities with scheduling and event management with customizable features to meet your specific banquet needs. Billetto is a free ticketing software that manage and promote events, sell tickets online, and track how well the event is doing. Supports every facet of the lost and found process from start to finish making the return process easy for your staff and your customers. CitySpark is a hyper-local event listing platform. Your customers are losing things. Provide better customer service with Crowdfind's digital lost and found software. Each time a customer loses something, you have a chance to show you care by offering great customer service. Easily integrate your lost and found inventory on your website and allow your customers to search for their item and file claims 24/7. With our verification process, you'll cut time spent in half. EventCalendarApp is an event calendar app and widget that you can easily integrate into your own website with just a snippet of code. EventLink offers everything from creative design and development solutions to event and program management, travel support, warehousing, training and instructional design, media integration, and asset management. Events Master offers event planners a one stop, subscription-based online service to conveniently plan and manage multiple events concurrently. Hubb is a software platform that helps conference and meeting planners manage and market content for their events.Hubb Staffing Manager helps with conference staff scheduling. IMS Power The most user-friendly Incident Management System on the market allows for easy implementation and adoption by all staff – even part-time or seasonal employees. All incidents are reported into a central repository – in real time – from multiple people in multiple locations – so nothing gets missed and nothing gets lost! Ever. INSTANT COMMUNICATION Immediate details and status of an incident via text, email or ISS 24/7 Communicators. MULTIPLE USERS IN MULTIPLE LOCATIONS When a user makes or updates an entry, it immediately appears on all screens for those that have permission to see them. DEPARTMENT SEGMENTATION Permissions allow people to see what they need to see. Segmenting information keeps people organized. COLOR CODED DISPATCH QUEUE Incidents are color coded by status so that nothing gets overlooked. Eliminate Pen & Paper We know what happens with all of those notes – it takes way too much time to get the information off the page and into a computer or worse, it just gets missed. Let’s not ignore how easy it is to retrieve when you need it next year! ALL the information about an incident connects directly to that incident – even if there are multiple people working on it. ALL pictures, videos, witness statements, signatures, and/or any related document about that incident stays with that incident. Oh, and did we mention that it’s accessible when you need it with just a click of a button… even next year! DIGITAL PAPER TRAIL All communication, incident details and related documents strengthen liability defense. LINKING INCIDENTS When incidents come in separately but are connected, with a click of a button they can be linked to preserve your record. LOCK INCIDENTS Lock incidents to prevent further edits from that point forward. CUSTOM FIELDS Easily create custom fields for incidents to record information that is unique to your facility. Automation In this day and age, your Incident Management software should work for you instead of you working for the software. Ever purchase a software program because it sounded great but then couldn’t implement it? We have a collection of those and have worked tirelessly to insure our customers have the exact opposite experience. When you use the ISS 24/7 Incident Management system, your software does the work you want it to. When you want it to. ALERTS & NOTIFICATIONS FOR INCIDENT TYPES Schedule an alert to 1 or more people when a specific incident, trend, or location is reported. DEVELOP PROTOCOLS Set up protocols to display by incident type so that your operators know exactly what to do RESOURCE ALLOCATION View the number and details of incidents assigned to each to determine who may be quickest to respond. TASK MANAGER Send automatic notification by text/email/device to individuals and remind them when tasks are due. ASSOCIATED PERSON DATABASE Store and easily access information including photos of persons involved in other incidents. Reporting & Analytics What you don’t know impacts operation efficiency and guest experience. Getting the information just shouldn’t be an all day job! Because our software is so easy to use, your staff actually uses it. Now you can have valuable information that you can use. Our one-click reports and comprehensive statistics give you all the data that you need to increase your operational efficiency. It arms you with a complete historical database to protect against future liability as well – now that’s powerful! 1-CLICK REPORTING Report filters allow you to pull any and all information from the system. Customize it the way you need! Easy to Use Technology is great if it gets used. Technology challenged staff pose a challenge and barrier for that to happen. We have developed our software to be easy to use and easy to implement. As the most user-friendly system on the market, our system requires minimal training and is easily adopted by all of your staff, including part-time or seasonal employees. EASY INPUT In seconds a new incident can be created. EASY TO LEARN Our training team trains your staff and supports them. EASY TO MAINTAIN Our software is web-based and so you won’t need your IT department to do the update. EASY TO GROW All of the ISS 24/7 systems integrate with one another. All of our training /support staff know all of our products. You will never be passed off to someone else that specializes on that other component. Lost Items are a Bummer No one likes it when they lose something and the time it can take to report a lost item can feel like salt in a wound. Lost items take valuable staff time and training on your end. Our Lost and Found software is an easy, inexpensive way to enhance guest experience and build guest loyalty. REPORT LOST ITEMS FROM YOUR WEBSITE Let your guests report their lost items directly from your website. Reducing the number of phone calls and staff hours to handle lost and found items. MATCH LOST ITEMS TO FOUND ITEMS If an item is found, the system will match it to an item reported as lost. EMAIL OR PRINT RECEIPTS AND/OR STORAGE TAGS Eliminate the storage chaos and tag your found items simply. Insure that the correct item goes to the correct owner. FULL AND CONSISTENT DIGITAL RECORDS Allows for reports, analytics and a clear understanding of what you have in Lost & Found – what it is and how long it’s been there, so you know what to do with your unclaimed items. Created by meeting professionals, for meeting professionals, Mobilized Meetings puts every, always-updated detail on any Smartphone or portable device. With PopBookings, you can keep everything in one place so everyone is on the same page. Streamlining your staffing business processes helps keep you and your team organized. Everyone can reference the same information within the account. Save time with our powerful tools. Sendo Online Invitations assist individuals and organizations with creating and managing events online. Artificial intelligent event ticketing and management platform for event organizers and venues. Event Designer is web-based 2D and 3D interactive floor plan software for event professionals. Logistics is an online solution that offers event planners an effective way to manage their meetings specs. ArrowPass helps venue operators and event organizers eliminate lines and grow sales by developing a payment solution. ArtHub creates a single network of artists and organisers worldwide. ArtHub is a dedicated platform to where you can promote your talent through network building opportunities and share your events with other art professionals. Attendica is a SaaS based product that allows event managers to develop event or conference apps on the cloud, allowing them to be in full control of audience engagement, event attendance tracking & many more throughout the event life cycle. Whether you are a big, small, freelancers or an organisations event planners, you can use Attendica as your event app to provide highly engaging experience to your attendees. You dont need an IT knowledge & your event can go live on the app in minutes. Axxerion Reservations is a suite of scheduling software for conference rooms, desks, and working spaces, hoteling, vehicles, and resources. B2match provides software and services for business networking events, conferences, and brokerage events. The platform enables event organizers to efficient participant matchmaking, organizing B2B meetings and create customized event website. BirdEase system is deisgned to provide an easy to use, visually appealing tournament website and registration processor. Bizzsmarts is a cloud-based online platform that enables users to collect, visualize, and analyze their MICE spend. Booth Leads is a cloud based platform built with the goal to capture and manage trade show leads. BusyEvent is a mobile based live events technology that provides tools to help you manage your event guide and more. Certain is the complete enterprise Event Automation software solution for data-driven marketers and event professionals. Certain Meet Accelerate sales with more face-to-face meetings. Events are an ideal time to get face-to-face with your key customers and prospects, but scheduling these critical meetings can be both time and labor-intensive. Certain Meet is a more automated, streamlined method of promoting engagement and getting meetings on calendar. Coconnex provides Integrated Solutions based on products and associated services that address key event software needs across main functional areas like Marketing, Operations and Sales. Conferize is the best way to gather your tribe and share interests. Create your event website, sell tickets & build your social community – all in one place. CONREGO is SaaS-based event registration and management software. Main features include: registration form creator, complex agenda editor, accommodation booking, reports section, ability to create a comprehensive price list, automated payment processing (9 online payment platform integrations) and invoicing, personalized mailings, reception desk and access control tools, CMS module, survey form creator, jQuery and CSS editor, ability to integrate external analytics services. All these functionalities let you register attendees for your events by gathering their data and personalized agenda, communicate with them automatically and on demand, import and export registration records, automate payment processing and invoicing (including communication related thereto), and handle attendees on-site. You can also build a responsive website and adapt it to your brand identity system. CONREGO application is designed for and used by event managers who organize academic conferences, brand marketing events, congresses, or carry out cashback promotions. CoveritLive offers a live events platform that allows brands, publishers and broadcasters to blog about events in real time. Virtual Events is an online and hybrid event solution that offer an opportunity to connect with a global audience at the same time, encouraging on-line interaction and minimising drawbacks. DIGITALPAPERS is a web based Conference Management System (CMS) that supports the management of any type of scientific events. Doccaster's web-based platform gives clients instant visibility into their event's historic and real-time metrics by collecting, archiving and visualizing data from multiple desperate systems. This information allows planners to make more informed decisions on enhancing and highlighting an events value, universities to improve donor modeling and fundraising stories and exhibitors to expedite qualified lead identification and maximize future spends. eAPP is feature rich platform enabling app creation and launch without any coding.Cloud hosted CMS empowers complete event lifecycle management and enables changes to the event content at runtime. Our Insta-Sync modules ensure real-time delivery of the modified content to apps. Yes, everyone needs a website We don’t glorify one channel over another. We simply help marketers to plan better, think bigger and explore new ways to make channels work harder and deliver marked results that can be monitored, measured and analysed in more productive ways. Event Caddy is a golf tournament software tool designed for events of all sizes. Hi there! Can I help you find the best Other Event Management solutions?